TNI Bureau: Debasis Das, an international Chess player from Odisha, has been declared winner for the prestigious ‘Ekalabya Puraskar’ for the year 2012 in recognition of his sportsmanship in the last two years. The award carries a cash prize of rupees two lakh. Among the prominent achievements amongst his several wins, Das had won a bronze medal at the World Youth Championship held in Caldas Novas (Brazil) in November 2010 and a gold medal as member of the gold winning team at the World Youth (Under-18) World Chess Championship 2010 held in Beijing. Interestingly, he is the second youngest international master of Odisha who has succeeded to acquire a brilliant national and international track record at an early age. 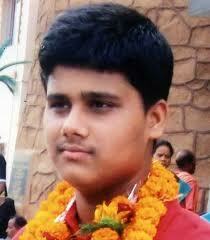 19 year old Das has been accredited with ‘International Master’ (IM) by the World Chess Federation in the year 2010. As per the Federation, his rank among all chess players in the world is 1524 and among the active world players is 1235. His national (India) rank is 35 and active players’ national rank is 34. He is at rank 146 in the continental ranking (Asia) among all players. The Ekalabya award jury committee, comprising of distinguished persons from different walks of life unanimously selected his name for the the award. Besides Debasis Das, The Ekalabya Committee also selected weight lifter Pramila Krisani and athlete Shrabani Nanda for the citation awards that carries cash awards of Rs. 50,000 each. Eklabya Puraskar , the most prestigious sports award in Odisha, is awarded every year to young sports persons of the state in recognition of their outstanding performance in the previous two years. The Indian Metals Public Charitable Trust (IMPaCT), the charitable wing of the IMFA Group, had instituted the “Eklabya Puraskar” in 1993. The Trust also promotes achievers from other faculties in the state. It presents the well-known “Sarala Award” to excel in Odia literature in the state. Can Yuvraj Singh Back in Test Squad?